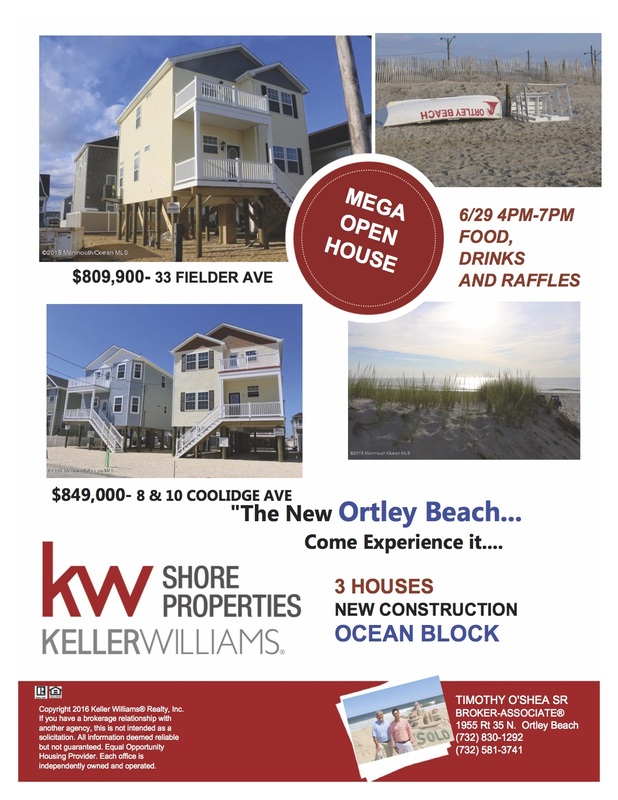 Keller Williams Shore Properties will host a Mega Open House event this Wednesday, June 29. The event will feature three houses (new construction) on the ocean blocks of Coolidge and Fielder avenues. The open house will feature food, drinks and raffles. The homes are located at: 33 Fielder Avenue, 8 Coolidge Avenue and 10 Coolidge Avenue. KW Shore Properties, Timothy O’Shea Sr. and Timothy O’Shea Jr. are sponsors of Lavallette-Seaside-Ortley Beach Shorebeat. Their office is located at 1955 Route 35 N., Ortley Beach. Phone: 732-830-1292 and 732-581-3741.